A new Biological Science Building of approximately 300,000 gross square feet with a connection to the Life Sciences Institute (LSI) Building to increase the utilization of its dock and vivarium functions. A small renovation to LSI will also be necessary for vivarium and related support activities. 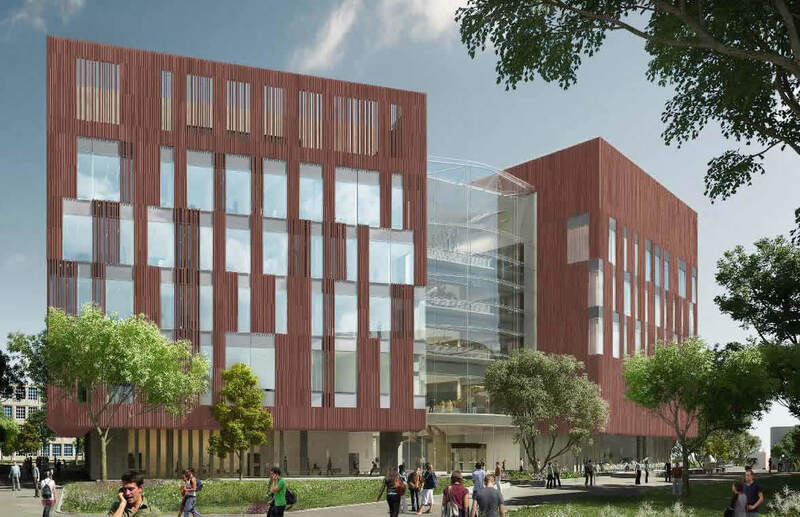 The new building will house research laboratories, associated support functions, offices, classrooms, vivarium services, and the four museums listed above. The laboratories will be constructed in an open plan to allow for much greater collaboration than what can be achieved in the existing buildings, increased flexibility, space utilization and better management. The proposed site of the BSB is adjacent to LSI where both North Hall and the Museums Annex currently exist.